On January 19, a Cranberry Recipe Development Seminar was successfully held at SABS in Guangzhou. Mr Hoa Huynh, Director of Agricultural Trade Office of the American Consulate General attended the seminar and gave a welcome remark. Scott Soares, Executive Director of Cranberry Marketing Committee, also delivered a speech which drew the attention of all the participants about cranberries’ nutritional values. About 80 attendees, including CMC’s Chinese representative, Mabel Zhuang and her team, local chefs and guests from influential media, participated in the event. 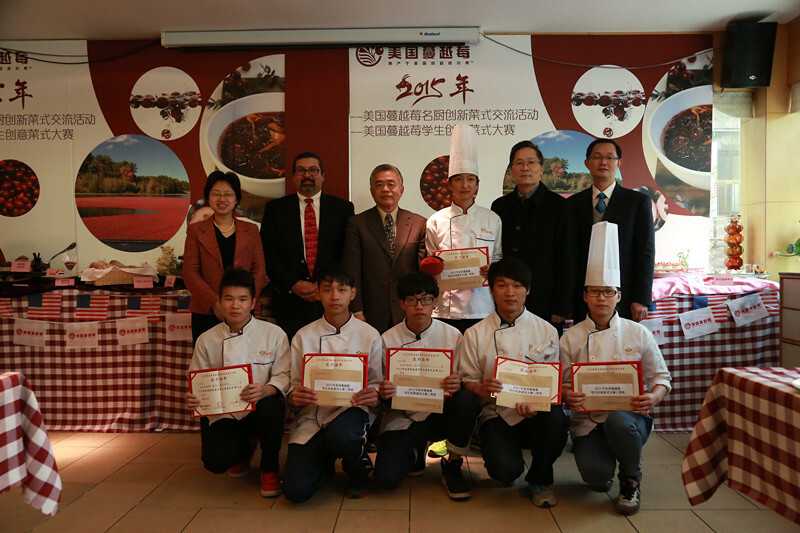 The Guangzhou SABS program included two parts: the first part was Guangzhou Celebrity Chefs’ New Cranberry Products Development Seminar and the second was SABS Students’ Cranberry Recipe Development Skills Competition Awards Ceremony. For Celebrity Chef’s New Cranberry Products Development Seminar, after a one-month preparation, selection and improvements, 10 famous Chefs were selected to bring their innovative recipes to SABS and present their recipe concepts on January 19. 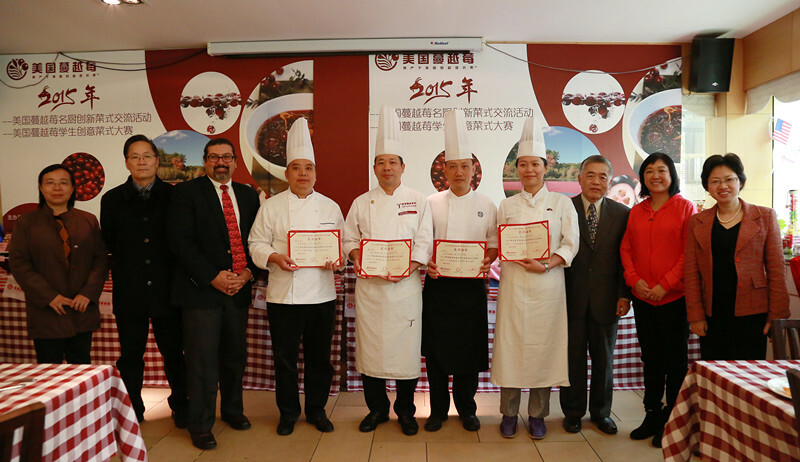 The chefs used dried cranberries, cranberry sauce and/or frozen cranberries to develop their recipes which included Chinese cuisines, Western cuisines, Chinese dim sum and desserts. Four food experts as well as the seminar attendees tasted each recipe while listening to the presentations. Remarks were given to each recipe on site. For each category, a best recipe was chosen by both experts and other attendees. Cranberry Mousse Roll by Ms. Deng Xin was named the best western dissert, Cranberry Bubble Sauced Bone by Mr Tan Guohui the best Chinese Cuisine, Cranberry Goose Liver with Cranberry Drink by Mr Du Weiwenthe best western cuisine, and Pig-shaped Cranberry Bun by Mr Huang Renwen the best Chinese dim sum. Similarly for Students’ Competition, after one-month selection and preparation, under the guidance of experts as well as SABS’s teachers, 13 students brought their recipes to display on January 19. Six of whom were selected as prize-winners. The first prize went to the Cranberry Pork Ribs recipe. The second prize was shared by Cranberry Goose Liver Mousse, and Cranberry California Roll. The third prize went to Cranberry Christmas Bread, Cranberry Cheese Mousse and Cranberry Crispy Cookie. A Cranberry Crosby (a stuffed toy in the shape of a cranberry with a sweet smile) was given to the first award winner, Chen Zhuang-kun, creator of the best recipe. This very successful two-part event lasted about three hours. CMC had a better opportunity to communicate with chefs in southern China, bringing to the latter new, creative ways of using cranberries in different recipes.